Citrine is one of my personal favourites. Not only for its energy, but its holistic meanings, its use throughout history and its beautiful golden colour. There are two different forms of Citrine on the market. Heat Treated and Natural. There is a huge abundance of heat treated Citrine as the natural form is incredibly rare and therefore extremely expensive. From an energetic point of view, the natural works best ~ its energy is so pure, there really isn’t any comparison. However from a cost point of view, the heat treated is more affordable and fine to use for crystal grids, abundance altars, manifestation areas in the house etc. as it holds the colour energy of yellow/gold. The energy of heat treated Citrine is still extremely positive. Natural Citrine forms naturally right from the start. Natural Citrine contains Aluminium and Lithium ~ the varying balance of these two chemicals within the quartz can lead to a colour spectrum that ranges from a pale, hint of yellow right through to a deep, dark brown. 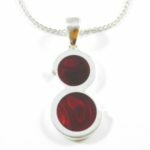 Once it moves out of the yellow colour spectrum and into the brown, it becomes Smoky Quartz. 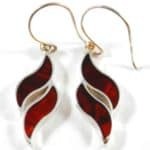 That is why you will sometimes see Smoky Citrine. Heat Treated Citrine is Amethyst that has been heat treated. Heat Amethyst to approximately 470 degrees Celcius and most will turn a golden yellow. Heat it up a little more to 550 degrees Celcius and it will turn a dark yellow or reddish brown. 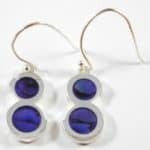 High heat turns the iron impurities & trace elements in Amethyst to a golden colour, creating yellow Amethyst. This yellow Amethyst is then marketed as heat treated Citrine, but chemically, it is not Citrine and no amount of heating will make it so. Some people say that ‘Lemon Quartz‘ is also Citrine, but this is inaccurate. 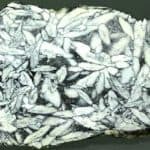 Lemon Quartz is a marketing name for a colourless, heat treated quartz. It is not Citrine in any form. 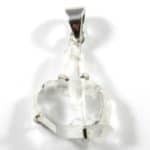 The confusion comes about as Citrine is named after the French word ‘Citron’, meaning Lemon. A logical assumption, but common mistake. 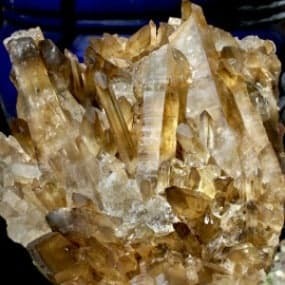 Some websites also state that all Natural Citrine is six sided. This is also inaccurate as some points of Quartz do not have six sides (sides, not faces). Amethyst doesn’t tend to form in clear, six sided points. Instead, it mainly forms in a dog tooth type formation as seen in the pic below of heat treated Citrine from Brazil. A Natural Citrine Cluster is on the left, a heat treated specimen is on the right. 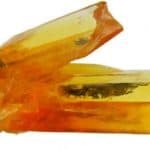 Another good indicator is that Citrine will have a uniform colour throughout the crystal from base to tip, whereas heat treated Citrine often only has colour at the point and is white at the base. 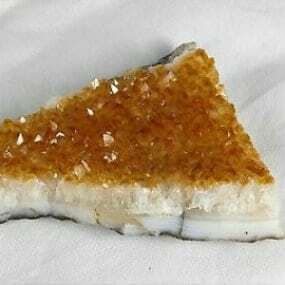 There are many statements in books and online that state that Citrine does not need to be cleansed or charged, but I haven’t found this to be the case at all. I can understand why some might think it, but in reality, it simply isn’t true. Heat treated Citrine is still, chemically, Amethyst, which is a big, crystalline sponge for absorbing electro-magnetic energy. 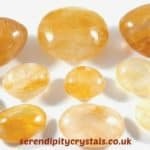 Having worked with both forms of Citrine for MANY years, my advice would be that ALL Citrine MUST be cleansed and recharged on a regular basis. If you’d like to read more about ways to cleanse and charge crystals, please Click Here. It can often be difficult to tell which is which, so I find asking the vendor in a very positive way and making it specifically known that you would like one type or the other, or will have to return it if it isn’t right, will usually ensure you get the type of Citrine you’re after. 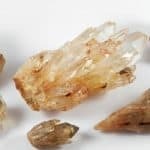 Just bear in mind not all vendors are crystal enthusiasts or specialists, so will believe what they are told at a wholesalers and may not even know there are two different types of Citrine. 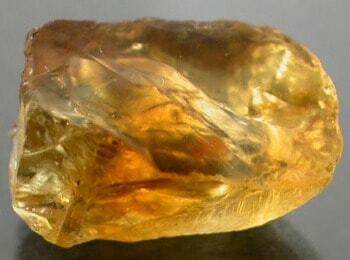 Citrine was historically known as ‘The Merchant’s Stone’. This harks back to the days of the Sun Gods in ancient civilisations, when anything golden coloured was seen as being touched by the Gods and therefore extremely beneficial and lucky. Merchants often kept a piece in their till or wallets and many folk (including myself) still do so to this day. 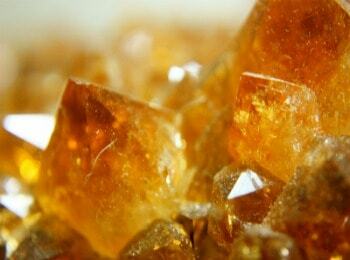 The energy of Citrine resonates with the solar plexus. 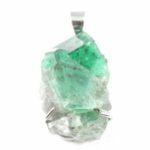 It aids self confidence, self belief, self esteem and willpower (hence being known as the Crystal of the Self). 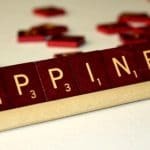 Citrine encourages us to take responsibility for our own happiness instead of expecting others to make us happy. It questions how well we trust ourselves, others & the bigger picture and guides us to rooting ourself strongly in our core beliefs and releasing the fears that are associated with this process. 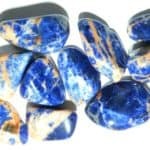 It is an excellent stone to bring more abundance, prosperity and joy into our lives. Citrine is also THE crystal for digestive disorders, the stomach and Irritable Bowel Syndrome (IBS). I used to have terrible IBS. Part of healing from this was leaving an unhealthy relationship, learning to trust the bigger picture and changing my diet. However, I used to be drawn to Citrine time and time again and kept small, natural tumblestones in my pockets or wore rings & jewellery containing Citrine. I used Citrine throughout the entire process of learning how to clear IBS from my system on all levels, which took quite a few years (IBS has roots in giving up our power and our having trust issues, which don’t heal overnight). Very rarely now, IBS may flare up again due to eating something I shouldn’t (ice cream….ooops!) or being in a consistently stressful situation (my Nan being in hospital), using Citrine is enough to calm it down again so I can get it under control.